Miss Mary, former teacher's aide at Mt. Pleasant Elementary School in West Orange, NJ, enjoyed a beautiful salon visit with her friend and Matura Field Manager Sherley Baptiste at Park Place Center last week. At school, Miss Mary ran a poetry club where she encouraged children to write and publish their poems. 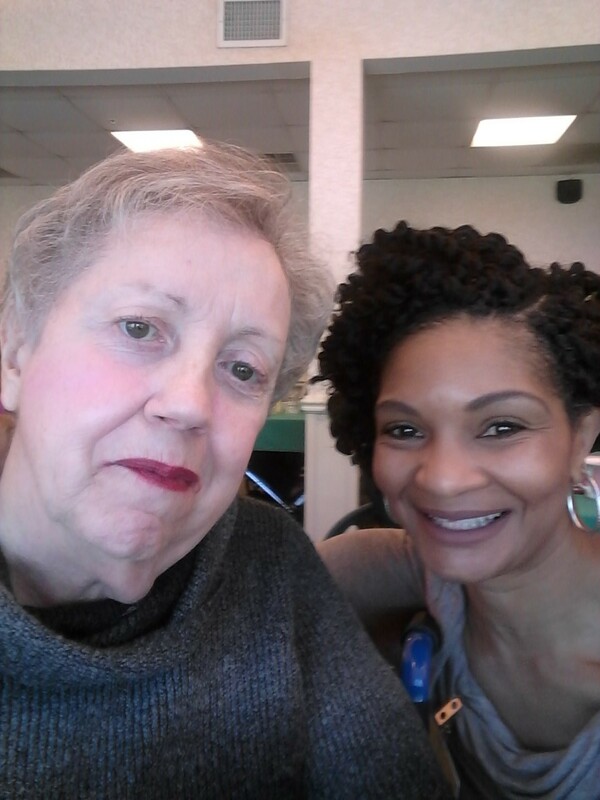 A relatively new resident at Park Place, Miss Mary enjoyed an extra special hair service and make up application while catching up with Sherley. A true beauty and regular salon client - Miss Mary never goes a day without her lipstick! As Sherley commented, "You could say we made each other's day!"